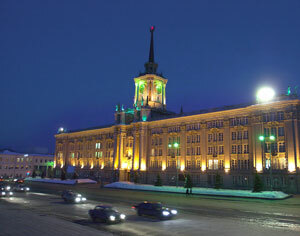 The Ice City on the main square of Yekaterinburg, Russia devoted to Anton Chekhov's Cherry Tree Garden theme this year. In 2010 Russia is celebrating this famous writer's 150th anniversary.In the middle of the Ice City is a 44-meter high artificial New Year tree. This year is it almost 2 times higher that last year. The construction weights around 44 tons. It has 3200 fir branches with lights 15,000 meters of artificial needles. The lights change according to the music being played. 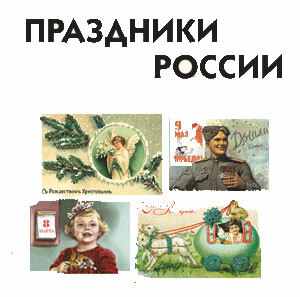 The Russian word «праздник» comes from праздный or пустой (empty) and means a day free from work. In fact holidays in a stream of working days are a good time to rest. At the same time they are socially and culturally important allowing generations to pass on traditions. Russia stretches from the White Sea in the north to the Black Sea in the south, from the Baltic Sea in the west to the Pacific Ocean in the east, neighboring many other countries. 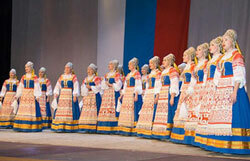 Russians speak Russian and share the same culture and traditions nationwide. An essential part of every nation is its cuisine. Ethnographers start studying every nation with its cuisine because it can reveal its history, everyday life and traditions. 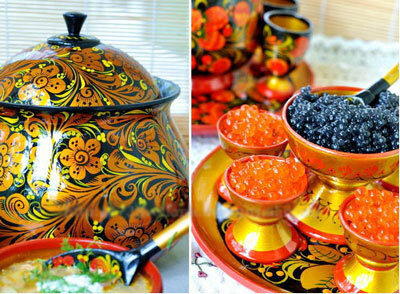 Russian Cuisine is no exception and is a very important part of Russia and its history. 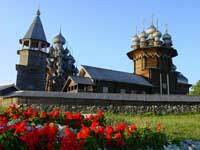 Russia has so much to offer for you to see! With its more than 1,200 year-old history it has plenty of sightseeing places. Russia is full of contrasts : it has cold winters and hot summer, mountains and flat lands seas and the biggest lake in the world Baikal. Russia streches over 11 time zones. 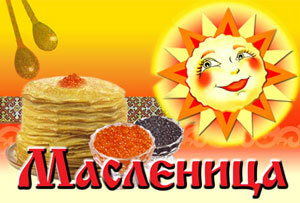 The most Western part is Kaliningrad and the most Eastern is Vladivostok.